The latest addition to my RSS feed's "Visual Snacks" category is Maddie on Things. 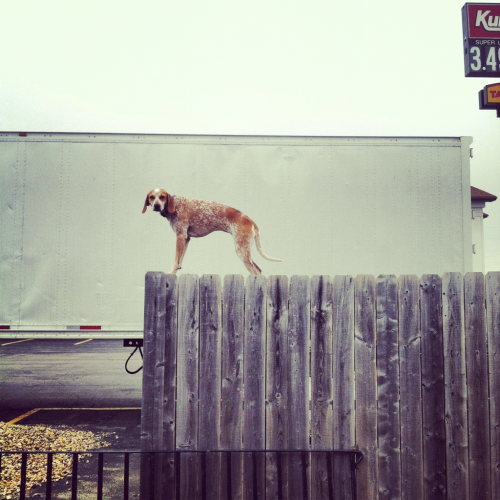 It's just a Tumblr of charming photos of a Coonhound* perched precariously - sometimes almost impossibly - on various things. The pictures generally fall into two categories: beautifully composed photographs that WHOA! 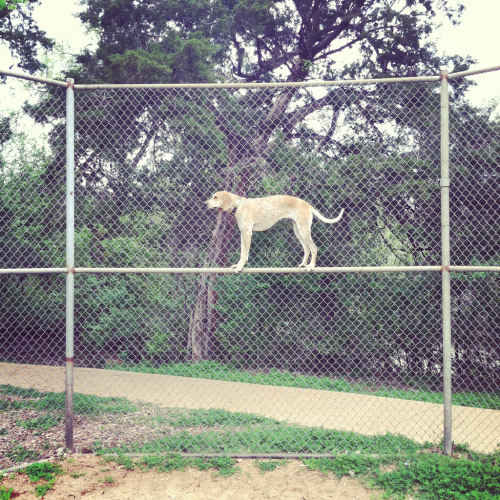 happen to have a slender dog balanced somewhere in the frame (these pictures would be remarkable even without the dog); and less-remarkable compositions in which the point seems to be, "Can you believe a dog can do this? Who's a good girl?! MADDIE'S A GOOD GIRL!!" *Can we still call it a "coonhound"? The jury's still out, but it seems its days are numbered.